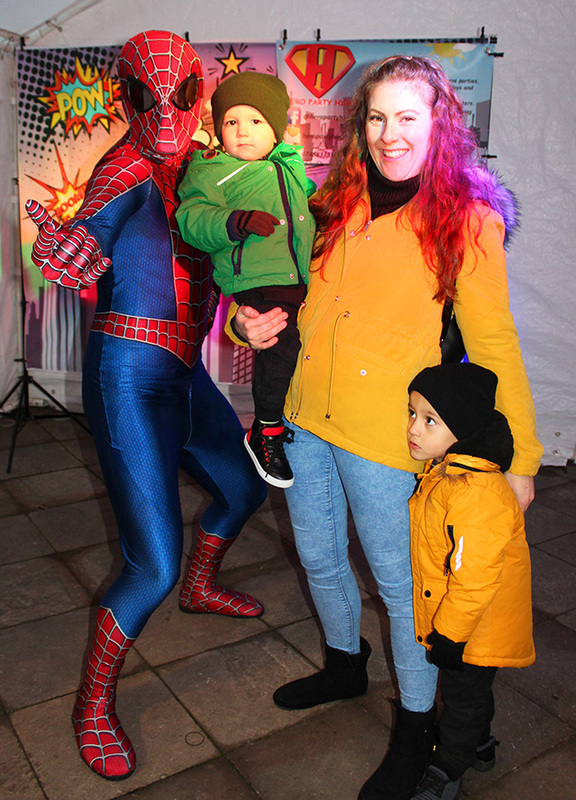 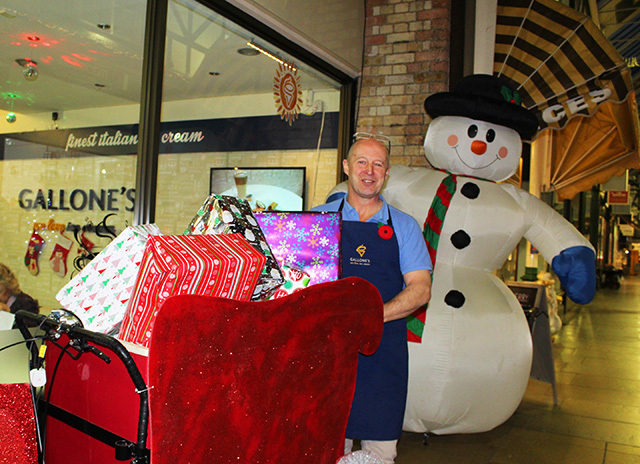 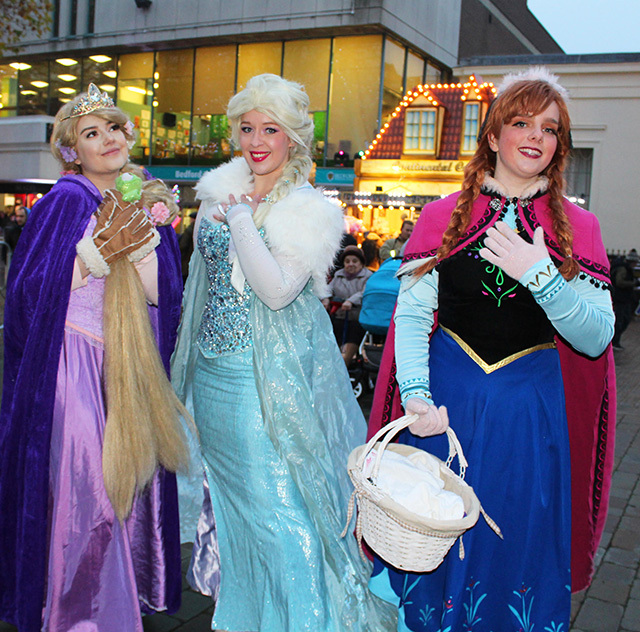 With sparkles, a snow globe, Spiderman, stilt-walkers and Santa, the Love Bedford team made the town come to life on Thursday November 22nd to mark the start of late night shopping. 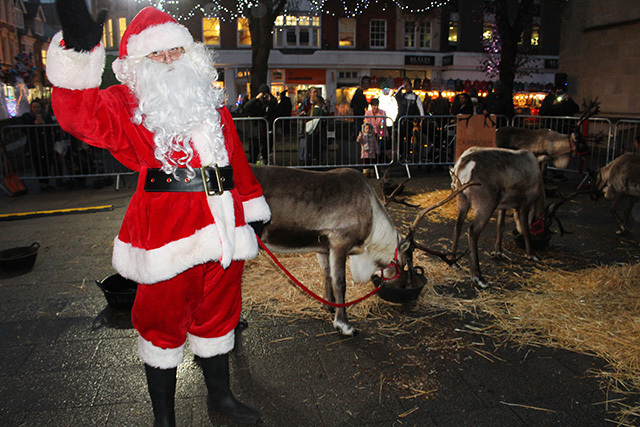 Real reindeer were a popular attraction with families who came into town in the afternoon. 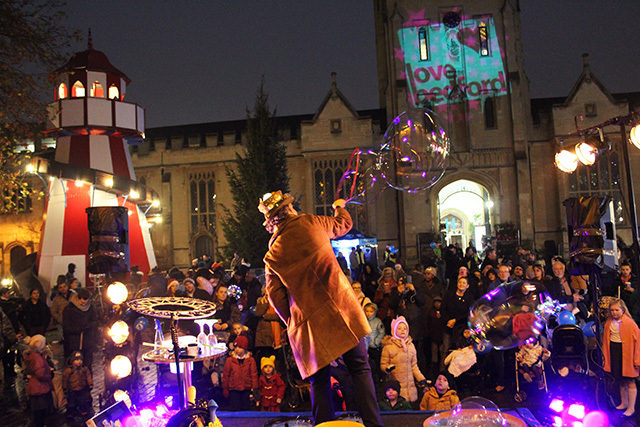 Fireworks followed in the evening along The Embankment, sponsored by Love Bedford. 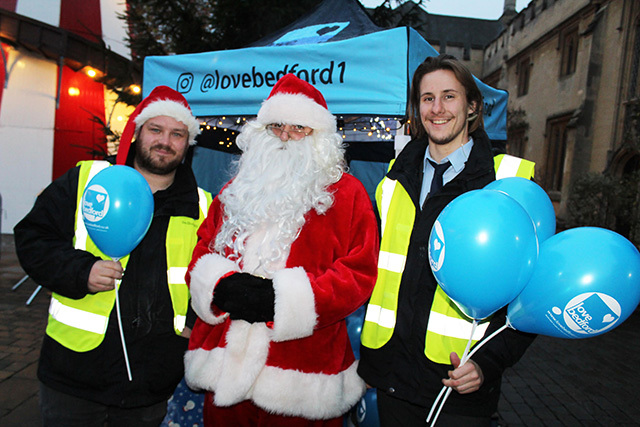 Christina Rowe, Director of BedfordBID which markets the town under the Love Bedford brand said: “Businesses work together throughout the year to keep customers coming back. 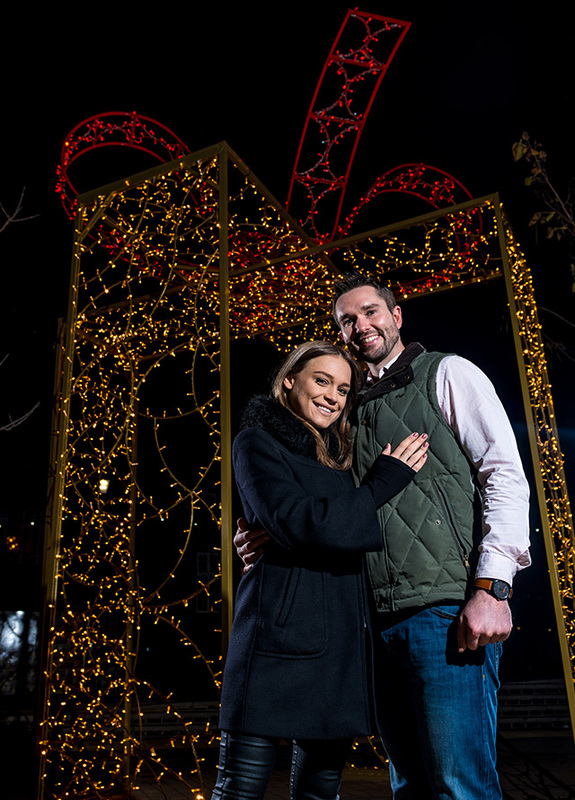 In the festive season we do even more to light up the town. 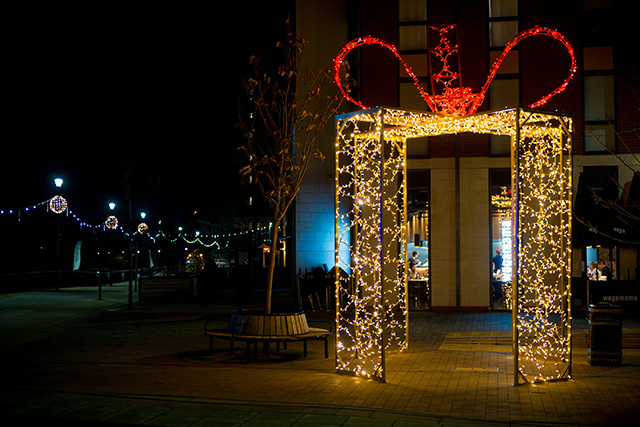 This includes the Xtra Xmas lights seen in previous years on side streets.